Blink-182 bassist Mark Hoppus pushed back in an interview with Alternative Press against singer/guitarist Tom DeLonge’s claim that the two of them discussed ousting drummer Travis Barkerlast year. 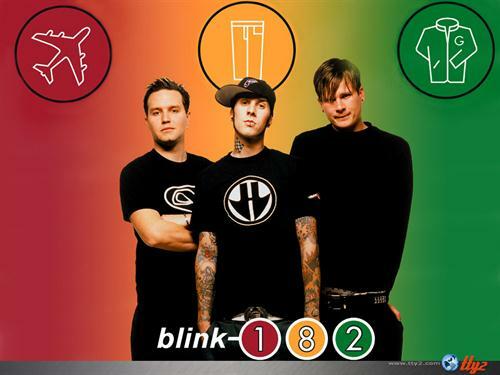 DeLonge made this revelation after Hoppus and Barker claimed to the press that he had all but abandoned the group, delaying a new album and live plans to work on his own projects. Asked about the possible dismissal of Barker, Hoppus explained that the issue came about as a result of Barker being unwilling to participate in an Australian tour due to his fear of flying. Barker has been unable to board an aircraft ever since nearly losing his life in a 2008 small plane crash. Hoppus and Barker revealed on Monday (January 26th) that they intended to perform live without DeLonge, telling Rolling Stone that DeLonge had “indefinitely” removed himself from all Blink activities for the foreseeable future. Hoppus and Barker have recruited Alkaline Trio‘s Matt Skiba to fill in for DeLonge at the MusInk Festival next month and say they plan to continue performing and recording Blink-182 music.